The continuous accumulation of biomedical data has made imperative the need to combine the available data, a process which is traditionally called meta-analysis. Meta-analysis is a statistical method, in which a set of original studies is synthesized and the potential diversity across them is explored. Meta-analysis was first applied in the field of psychology. In medical research it was initially applied to randomized clinical trials, but nowadays, it is considered a valuable tool for the combination of observational studies, diagnostic studies, pharmacogenomics, as well as for gene-disease association studies. Moreover, meta-analysis has also been proven useful in summarizing the results of high-throughput experiments such as genome-wide association studies (GWAS) and gene expression studies using microarrays. Τhe Workshops I and II will take place in June 25, 2015, in Computer Laboratory I at the Department of Computer Science and Biomedical Informatics, University of Thessaly, Lamia, Greece. Due to the limited number of people who can participate (25 people), please visit the respective Doodle Poll and declare your attention to participate in the Workshops, by sending a short CV to Katerina Pantavou by June 15. The participants will be notified by June 18. If the number of participants exceeds the limit of 25 people, there will be a selection based on participants' CVs. All participants should be registered on the day of Workshops and before the Workshops begin (Thursday 25 June 2015, registration time 13:00 - 14:00). People who have not declare their attention to participate in Doodle Poll, can also be registered in Workshops before they begin (Thursday 25 June 2015, registration time 13:00 - 14:00), only if the maximum number of participants has not been reached. Certificates of participation will be available to those who will complete the workshops. There is no participation fee for the workshops. Workshop I is intended for senior undergraduate, graduate and master students, PhD candidates as well as for researchers in biomedical fields, no necessarily having a background in statistics. It is an interactive workshop that introduces participants to the concepts and principles of meta-analysis, providing them the opportunity to acquire skills for using basic methods of meta-analysis. The above mentioned methods will be applied using the statistical package Stata 10 (Stata Corporation, College Station, Texas, USA). Workshop II is intended for senior undergraduate, graduate and master students, PhD candidates as well as for researchers in biomedical sciences and statistics, familiar with the basic methods of meta-analysis. It is an interactive workshop that focuses on multivariate methods of meta-analysis providing students an integrated perspective of the methods used to combine data from relevant but independent studies. Workshops III will take place in October 29, 2015, in Computer Laboratory I at the Department of Computer Science and Biomedical Informatics, University of Thessaly, Lamia, Greece. Due to the limited number of people who can participate (25 people), please visit the respective Doodle Poll and declare your attention to participate in the Workshops, by sending a short CV to Katerina Pantavou by October 25. The participants will be notified promptly. All participants should be registered on the day of Workshop and before the Workshop begin. People who have not declare their attention to participate in Doodle Poll, can also be registered in Workshops before they begin, only if the maximum number of participants has not been reached. 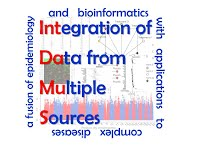 Workshop III is intended for senior undergraduate, graduate and master students, PhD candidates as well as for researchers in biomedical sciences and statistics.Perl is one of the most popular scripting languages for biological data analysis. The objective of the workshop is to introduce the basic features of the Perl language and at the same time to demonstrate its abilities in Bioinformatics applications. At the end of the course, participants will have a good working knowledge of the Perl programming language and ability to develop Perl Scripts which will help them to handle biological sequence data. Scientific coordinator: Pantelis Bagos, Associate Professor, Department of Computer Science and Biomedical Informatics, University of Thessaly.